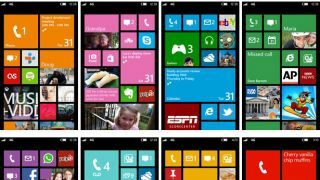 Microsoft has categorically denied there are plans afoot for it to build smartphone hardware to complement the Windows Phone 8 software. After the company unveiled its Microsoft Surface tablet last week, one analyst with detailed knowledge of the company speculated that it would turn its attention to manufacturing a mobile handset. However, the head of Windows Phone marketing Greg Sullivan says that option is off the table as Microsoft is happy with its current partners. Asked by Information Week whether the company had any plans to manufacturer an own-branded smartphone, Sullivan responded: "No, we do not." "We have a strong ecosystem of partners that we are very satisfied with," he added, with Nokia, Samsung and HTC all thought to the prepping Windows Phone 8 devices. Late last week Noruma analyst Rick Sherlund said: "We would not be surprised if Microsoft were to decide to bring their own handset to market next year given that Microsoft has decided to bring to market their own Windows 8 Surface tablet/PC products." At the time, Microsoft issued its standard "no comment" response, but this should put the matter to bed... for now.